A big day for those of us in Rotary District 5040. Here you see our own Dean Rohrs (Langley) , right, installing the 2018-19 Governor of our 51 Rotary clubs in District 5040, from Greater Vancouver up the coast to Prince Rupert. 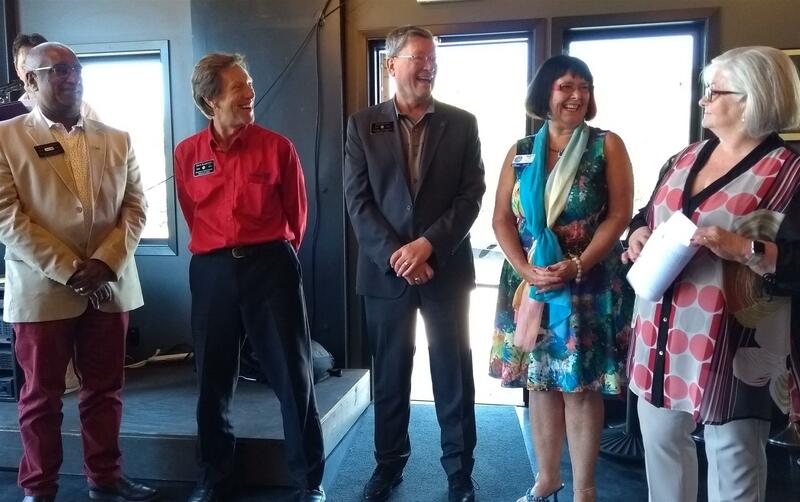 Next to her, our new leader, 2018-19 Governor Darcy Long (Sechelt), and (l to r) Governor Elect Bala Naidoo (Burnaby), Governor Nominee Dave Hamilton (Delta) and Governor 2017-18 Don Evans (Vancouver). The ceremony took place in Gibsons, BC, on June 16, 2018.